I have not been active online for some days now. It was due to the internet service of my area. There is no network service from my service provider for the past two weeks. I have found a temporary solution to that and that is why I can make this post now. 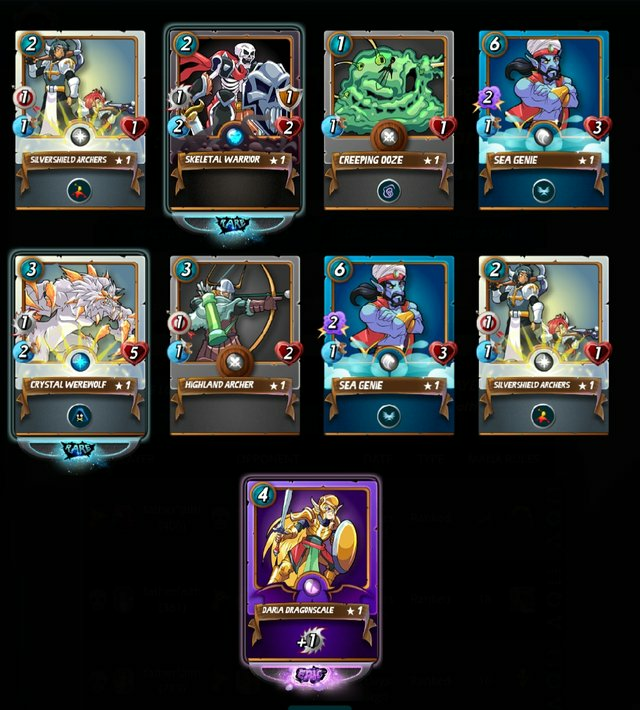 I just want to show you all the rewards I got on the Steem Monsters game last season. I have already levelled them up to make stronger cards. This season is already underway but I've not been fighting battles because of the reason I earlier stated. I might not be able to go far this season but I will still try my best and see how far I can go. Your UA account score is currently 3.315 which ranks you at #8006 across all Steem accounts. Your rank has dropped 9 places in the last three days (old rank 7997). In our last Algorithmic Curation Round, consisting of 182 contributions, your post is ranked at #170.